Robert Lewandowski has put himself in the transfer market, with clubs around Europe alerted to his availability. Having joined Bayern Munich back in 2014, the Polish striker won the Bundesliga title in each of his four seasons at the club, standing as the top goal scorer in the league in three of the four years. Prior to that, he had also bagged two league titles with Borussia Dortmund. With over 250 league goals and 52 international goals in his career, Lewandowski stands as one of the best strikers in world football at the moment, and is contracted with Bayern till 2021. However, he is now unsettled in Munich, and is looking to advocate an exit. At his age, he still has a couple of years at his best as a footballer, and there will be no dearth of suitors for him this summer. While Champions League winners Real Madrid remain firm favourites to land him, they are not the only club in the mix. English sources claimed back in January that Lewandowski was a transfer target for both Manchester United and Chelsea. 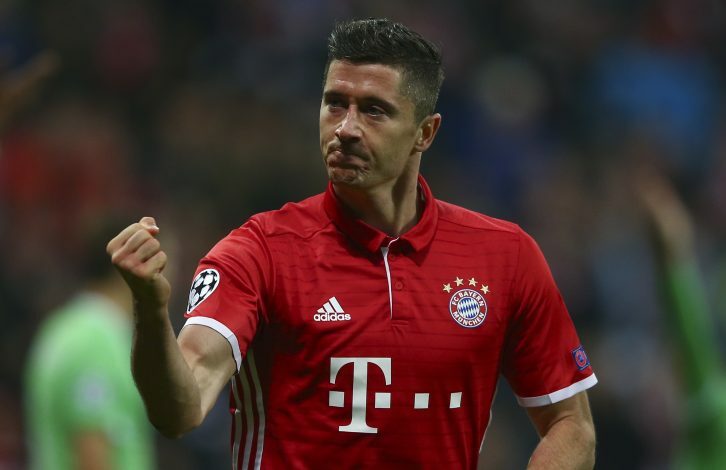 The Blues, struggling with an out-of-form Alvaro Morata, might be tempted to meet the Bayern’s demands for Lewandowski. United, however, have a settled strike force, and might not be interested in spending big to push first team players on the bench. European giants PSG and Barcelona are also credited with interest, while his former side Borussia Dortmund are also keeping tabs on his situation. He will not come cheap by any means, though, as he still has three years left on his current contract. Where do you think he will play next season?